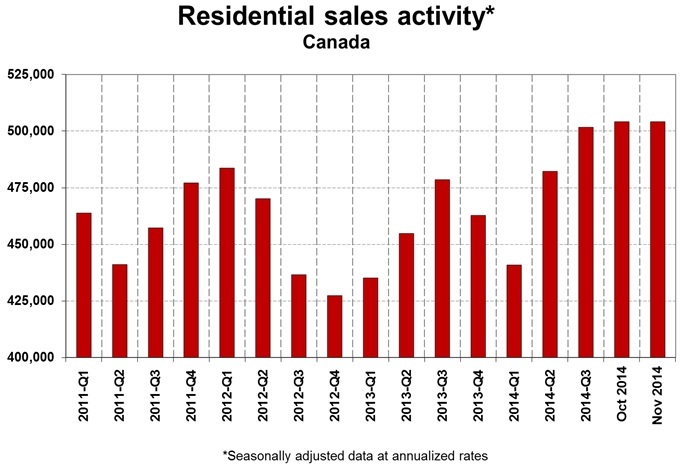 While Canadian home sales were flat in November compared to October, actual sales for the month, not seasonally adjusted, were up 2.7 per cent from November 2013. 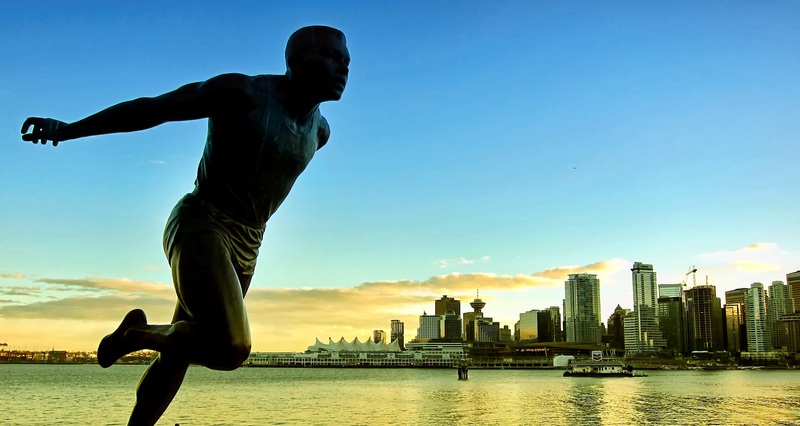 According to the last data from the Canadian Real Estate Association, November sales were up from year-ago levels in about half all local markets, led by gains in Greater Vancouver and the Fraser Valley, Calgary, and Greater Toronto. “The Canadian housing market remains a story about how sales and prices are still running strong in some areas while others are seeing subdued levels of activity with slower price gains or modest price declines,” stated CREA president Beth Crosbie in a release. The industry group for Canadian real estate agents continues to describes the market as balanced. The actual, not seasonally adjusted national average sale price in November was $413,649, up 5.7 per cent from the same month last year. But if you remove Greater Vancouver and Greater Toronto from the equation — two of Canada’s most active and expensive housing markets — and the average price drops to $331,743 behind a year-over-year increase of five per cent. Nationally, two-storey single family homes posted the biggest year-over-year price gains (+6.79 per cent), followed closely by townhouse/row units (+5.63 per cent). Price growth was comparatively more modest for one-storey single family homes (+4.20 per cent) and condos (+3.18 per cent). Of course, price growth varied a great deal among regional markets. As in recent months, Calgary (+8.53 per cent), Greater Toronto (+7.73 per cent), and Greater Vancouver (+5.69 per cent) continue to post the biggest year-over-year increases. By contrast, prices in Regina declined by -3.36 per cent. 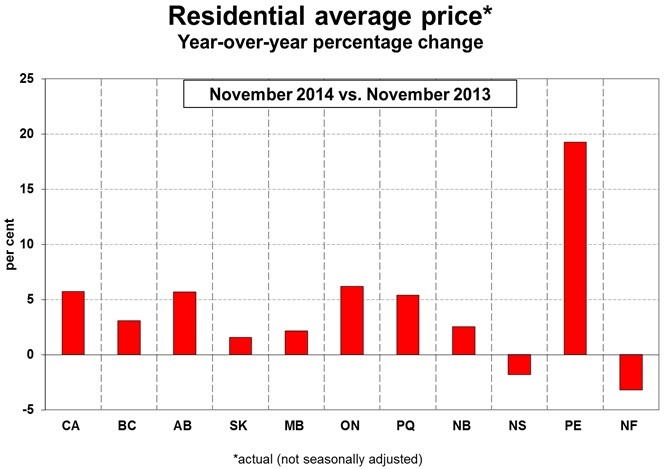 And here’s a look at the price growth (or lack thereof) by province. The November data comes as CREA released its revised housing market forecast for the end of this year and next, predicting national home sales would end 2014 up 5.1 per cent from a year earlier before rising a modest 0.8 per cent in 2015. Our complete report on the group’s national outlook is here.